And at the time I had made him a little helmet. 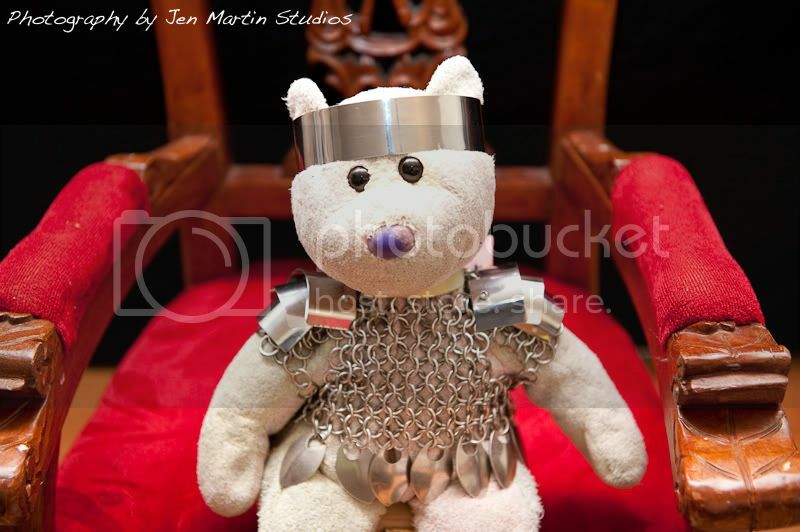 My daughter loved the helmet so much that for Christmas this year I thought I'd go a step further and create an entire suit of armor for her favorite teddy bear. 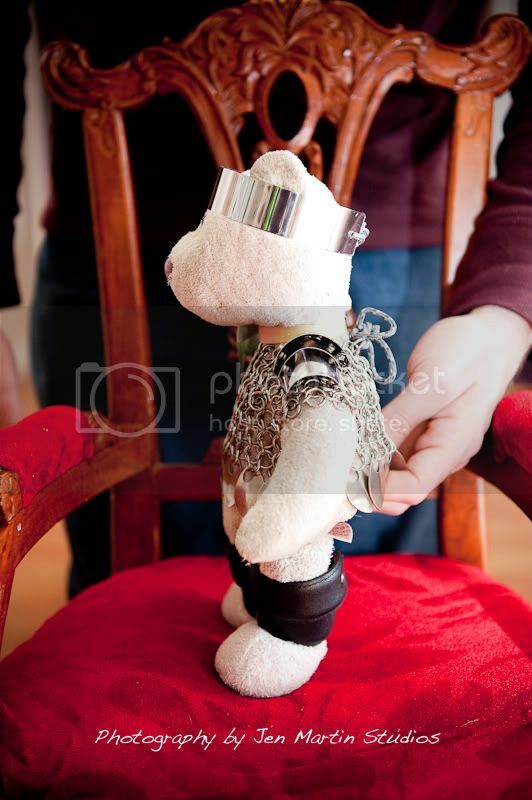 She's had the Bear since she was born and it's one of her most cherished possessions. 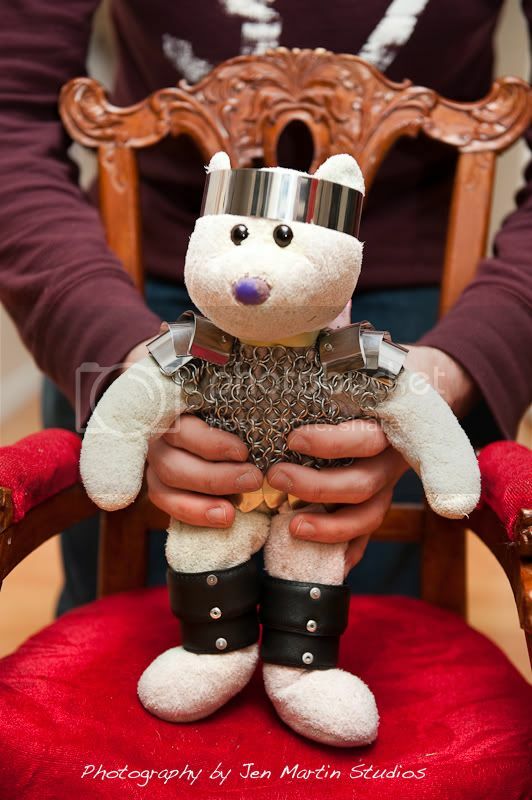 To create the armor, I had to sneak into her room at night and borrow the bear. To put on the finishing touches tonight, I said I had to borrow him to wash him (now I have to actually wash him otherwise she'll know something's up). His chainmaile is made from 16 gauge, 5/16" Stainless Steel rings woven in a European 4-1 pattern. It includes flaps for the shoulders to support the spaulders(Shoulderplates). The trim of his shirt is made from stamped, nickle-plated mild steel scales. His simple, warrior's circlet(crown) is made from the same material as the spaulders; a strip of stainless steel. Finally, when his Lordship grows tired of the burden of his armor, he can remove it and stow it for future use! *a special note* the bear's real name, as given by my daughter, is actually Jinx (formerly just "Bear"). 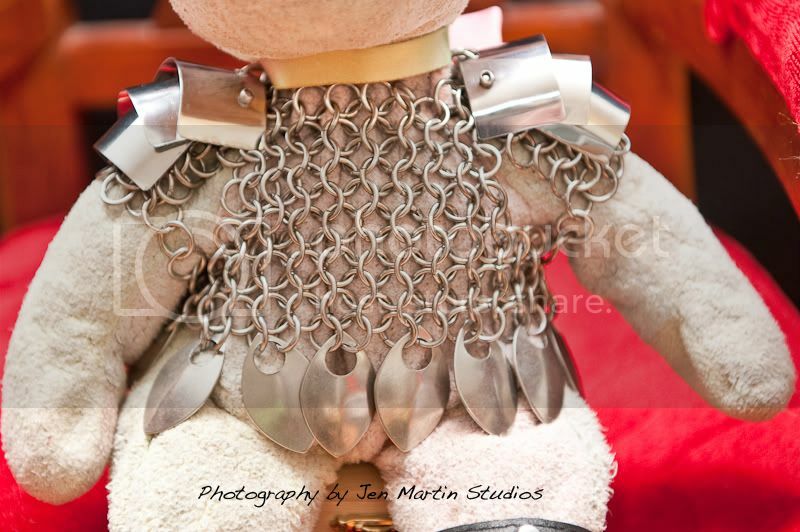 Lord Bearington just felt like a more appropriate thing to call him as I pieced together his armor. I love all of his attire, but I also love the name she name him! Awesome on the chain mail. I hope you stay round while the kids grow up, love watching the family fun. Me and my kids were always big on this type of fun, but hubby has to be dragged forcefully out of his man cave. Lolol btw loved the family zombie pics! Absolutely Brilliant! I love his shoulder-plates. I hope the two have many grand adventures together now that he has proper protective equipment. So cute, and what a wonderful present for your daughter! Oh my gosh that is amazing! 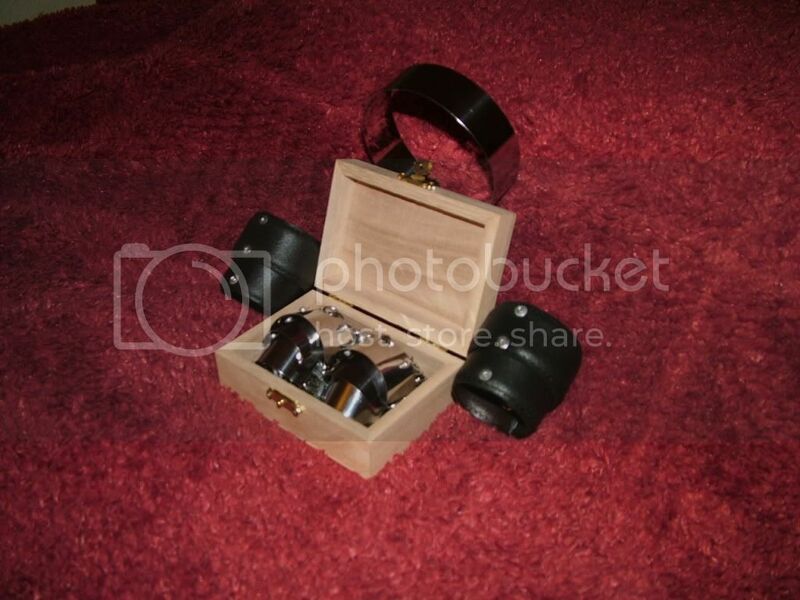 I could never even think of doing something that ingenious. Kudos! That is HEART-MELTINGLY adorable! 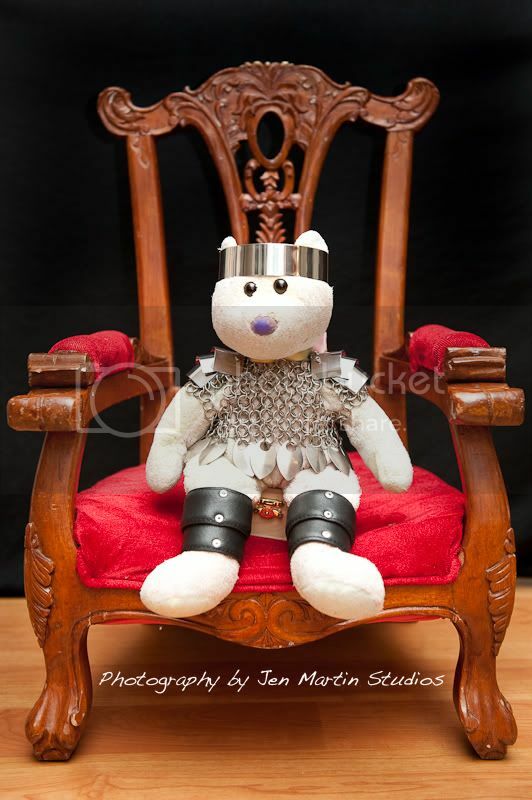 I want armor for my teddy bear!